← Could Islamic finance have prevented the global economic crisis? How do you bring Islamic finance to the far corners of the world? Ethica Institute in Dubai and La Trobe University in Australia have solved this problem. Today the leader in Islamic finance training and certification, Ethica, announced the launch of a new Islamic finance for-credit course at one of Australia’s leading universities. This will be the first time ever that a 100% online course in Islamic finance is offered as part of an on-campus course. Enrolment for the award-winning Master of Islamic Banking and Finance (MIBF) program is now open and online classes begin next month on January 10, 2011. The international education industry is Australia’s largest services export, contributing over 550,000 students and $12 billion annually to the country’s economy. Moreover, the Australian government actively began promoting Islamic finance in recent years by exploring tax neutrality for Shariah-compliant products. La Trobe University’s Associate Professor Ishaq Bhatti said, "With Ethica, our Islamic finance program now extends far beyond our physical campuses. For the first time ever, we now tap into the tremendous demand for Islamic finance from students all over the world." This year, La Trobe’s Islamic finance program won numerous awards including the prestigious Australian Learning and Teaching Council (ALTC) Award for excellence. Ethica’s Managing Director, Atif Khan said, "E-learning is the best way to address Australia’s growing demand for certified Islamic finance graduates. La Trobe is already a pioneer in the field with one of the world’s only Master’s programs in Islamic banking and finance, and now with an e-learning component, they scalably grow their campus across the globe." Earlier this year Mashreq Bank rolled out Ethica’s e-learning program across its entire Islamic banking network. Dow Jones affiliate Zawya.com and New York based Banker’s Academy also signed on with Ethica recently. 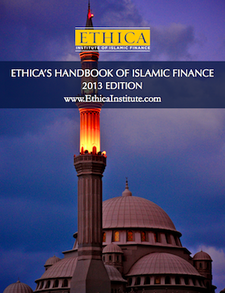 About Ethica Institute of Islamic Finance: In 2010, Ethica (http://www.EthicaInstitute.com) was chosen by more professionals for Islamic finance certification than any other organization in the world. The Dubai-based institute received the award nomination for "Best Islamic Finance Training Institution" in 2009 and 2010 by Islamic Business and Finance Magazine. Ethica’s clients include banks, universities, and professionals in over 20 countries. About La Trobe’s Master of Islamic Banking and Finance (MIBF) Program: Recipient of the prestigious ALTC 2010 Award, La Trobe’s Islamic finance program is the first university-level Islamic finance program in Australia. Enrolment for the program is now open on a first-come, first served basis with online classes beginning next month on January 10, 2011. To learn more, visit http://www.latrobe.edu.au/lawman/ifpd or contact Almir Colan at A.Colan@latrobe.edu.au. For more information about this article, or to schedule an interview with Ethica Institute of Islamic Finance, please call Sameer Hasan at +9714-305-0782 or e-mail at info@ethicainstitute.com. This entry was posted in Around the world, Training and education. Bookmark the permalink.